Years ago when we accomplished to write a great deal of reports for the RiseIsrael.com website, we came across a great dilemma. 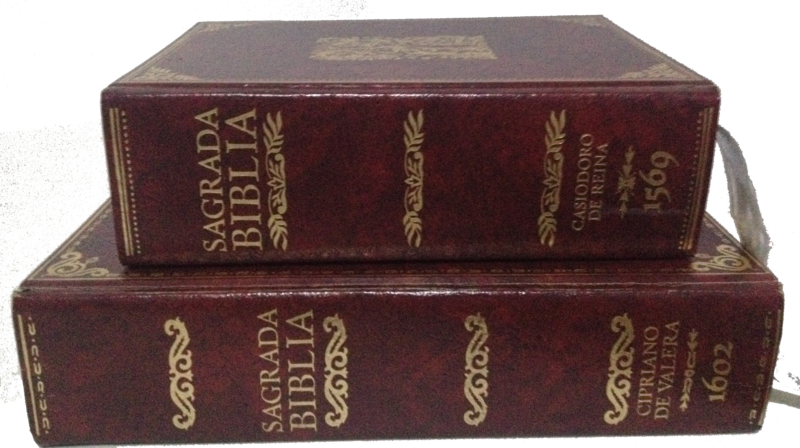 The best translation of the Spanish Bible (Reina Valera Antigua 1909) did not contain the Apocrypha. Causing a huge hindrance; since without it explaining various topics were incomplete. The sorrow was overwhelming, and searching over the internet resulted in dead ends. Today if you buy a King James Version more than likely it will not contain the Apocrypha unless you get the original 1611 which is widely available. If the print is hard to read because of the old English you could still find one with an easy to read font although a little more expensive. A few years ago these choices were almost gone in the King James Version; causing us to preserve the Apocrypha. All those purchasing possibilities do not exist to Spanish speaking Israelites. In 1569 was the first Spanish translation and it included the Apocrypha. Then it was revised in 1602, which also included the Apocrypha. By the grace of the Heavenly Father they were both printed again in 2002; for the 400 year anniversary. Only 1500 copies of each were printed; a very limited amount. Do I have to mention how expensive they were? This is purposely done to prevent the so called Hispanics or Native American Indians from learning their true heritage as it is mentioned in 2 Esdras 13:40-46. We are grateful to the Heavenly Father for having faith in us, to give us these treasures to share with our people and preserve them for future generations. We have dedicated many hours for years to making a digital copy and now hopefully our people will be able to hear the word as it is meant. Romans 10:18 “But I say, Have they not heard? Yes verily, their sound went into all the earth, and their words unto the ends of the world.” The truth of the Heavenly Father will reach his chosen people throughout the world regardless; language is not a barrier to the Heavenly Father. In the prophets he stated that he will give his word to his people in another language (See, Isaiah 28:11); meaning the Bible was going to be translated. Especially since he forewarned Israel that they would go into slavery and learn the language of their captors (See, Deuteronomy 28:48-49). These records miraculously were preserved and passed down to us, that we may learn the truth of who we are and our purpose. As the prophecy stated yet our people will not hear (See, Isaiah 28:12) the proof that is within the pages of the Bible. Although many of our Spanish speaking brothers and sisters do not have the Apocrypha we have managed for many years to prove who the real Jews are; we hope this will help you to do the same. If you are like me, then you will like to share this truth with those that only speak Spanish. Here is your opportunity. P.S. The radio has been updated again a few days ago.